The EU SOFT Innovation Prize for fusion research in the amount of €50,000 is awarded to a team of researchers of Karlsruhe Institute of Technology (KIT) and the Swiss Plasma Center (SPC). Scientists of the Institute for Technical Physics of KIT have developed a novel superconducting conductor concept. Thanks to its energy-efficient current transport, it might be used as a basic element in future high-current cables of fusion power plants, industrial facilities, or DC power grids. Today, the prize was awarded at the Symposium on Fusion Technology (SOFT) in Prague. The cross conductor, briefly called CroCo, developed by KIT consists of High-Temperature Superconducting (HTS) tapes of two different widths. These tapes are stacked and soldered over their full length, with a cross being formed in the cross section. Additional slight twisting of the tapes optimises magnetic properties of the conductor. 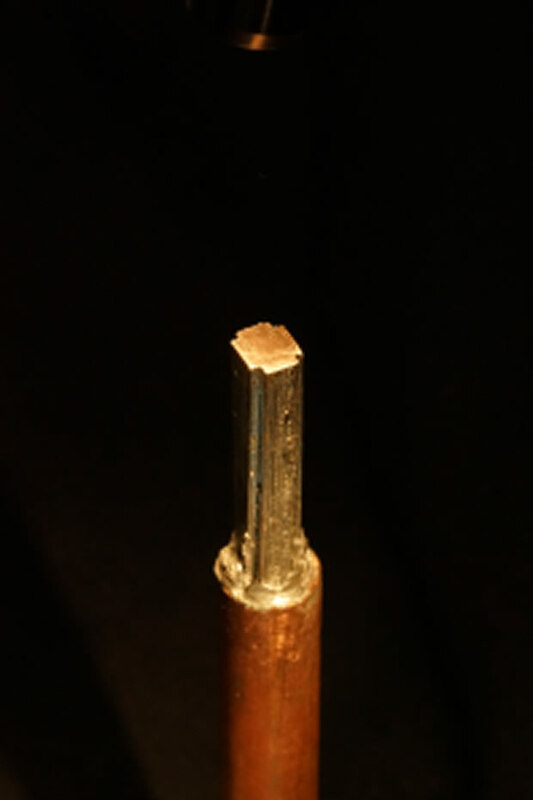 Finally, the conductor is packed into a copper tube, with the gaps between the cross and the tube being filled with solder. “In this way, the flat, tape-shaped superconductor is used to build a round cable, the shape of which facilitates further processing with standard processes,” Fietz and Wolf explain. The patent application for the prototype production facility for the continuous production of CroCo conductors from superconducting tapes has already been filed. High-temperature superconductors are ceramic materials that exhibit advantageous properties, such as resistance-free current transport at temperatures of typically minus 200°C. However, long lengths can only be produced as micrometer-thin coatings on metal tapes. The original idea to wrap flat, superconducting tapes in copper to form a cylinder was developed by the Swiss Plasma Center. Fietz and Wolf picked up this idea and developed the CroCo concept. CroCo contains more superconductor material and can be produced more stably and easily by the prototype production facility. Depending on the cooling temperature, energy transmission cables based on the CroCo concept might carry ten to hundred times more current than uncooled copper cables. In fusion power plants, e.g. ITER, high-current cables for currents of up to 68,000A will be required for power supply of the superconducting coils generating the plasma-confining magnetic field. Cables with a current-carrying capacity of 10,000 to more than 100,000ADC are also needed for energy-intensive industries, such as aluminium smelters, computing centres, electrolytic deposition of chemical elements, or energy production in offshore wind parks. In connection with the “energiewende”, superconducting cables may be used to establish direct voltage grids for transmitting renewable energies from the producer to the consumer without any losses in the future. Superconductors might help minimise material consumption and installation expenditure, space consumption, and transmission losses as well as heat production. The SOFT Innovation Prize honours excellent ideas and developments in fusion research and is awarded at the Symposium on Fusion Technology (SOFT). The main criteria are originality, outstanding achievements, economic relevance, and prospects of success. The prize money is to be used for the further development and commercialisation of the technology. The SOFT Innovation Prize is supported by the Horizon2020 Euratom Research and Education Programme 2014–2018. Just how noisy are wind turbines?